After an NCAA tournament berth in 2014, Massachusetts has seen a gradual regression over the past two seasons under head coach Derek Kellogg. After going 17-15 in the 2014-15 season, and just 14-18 last season, Massachusetts is due for a rebound, which could very well end up with them crashing the dance in March and ending up with an NCAA Tournament berth. For that to go the way of the Minutemen however, a few things have to go their way, including the reliance on some young players to make an instant impact. Massachusetts is losing several key guards to graduation, but they still return a core group of players that will lead the team both on and off of the floor. The junior class is key for UMass, both as scorers and playmakers on the court, but as role models and leaders off the court for a team trying to integrate five new players into the lineup. CJ Anderson, Seth Berger, Zach Coleman, and Donte Clark make up that junior class, and will be leaned on heavily to get some wins, especially in the early part of the season. I just mentioned Donte Clark in the list of juniors next year for UMass, but his name deserves a solo shoutout, because he is the one player that could put the team on his back and carry the Minutemen to an NCAA Tournament berth. Last season Clark averaged 16.1 points per game to go along with 3.8 rebounds and 2.3 assists. He will almost certainly have to at least duplicate his efforts next season, and if he can work on becoming a little bit more efficient of a scorer, can become one of the premier players in the Atlantic 10. While it might not have seemed like it at times, UMass was a sneakily good defensive team last season. If they can build on their defensive success from last season, they can become an excellent defensive team. They were one of the best teams in the entire nation last year at defending the three point shot, and also very good at forcing opponents into bad shots and bad field goal percentages. One area that they struggled was with fouls – if UMass can limit the amount of fouls they commit while still maintaining that top notch three point defense, they can become one of the best defensive teams in the conference. Remember, defense wins championships, and can carry you to the NCAA Tournament. UMass is brining in two forwards and a center next year as recruits – all of whom are either 6’8″ or taller. These three players will add their names to a roster that already has great front court depth. The most impressive of these forwards is 6’11’, 335 pound freshman Rashaan Holloway. Joining the monster that is Holloway is a nice collection of 6’6″-6’8″ players that can compliment Holloway and the freshmen – rebounding and post play should hopefully be good for the Minutemen as they will try and put all these pieces together to create a tournament-worthy team. Come check out our forum to talk more about UMass Basketball! 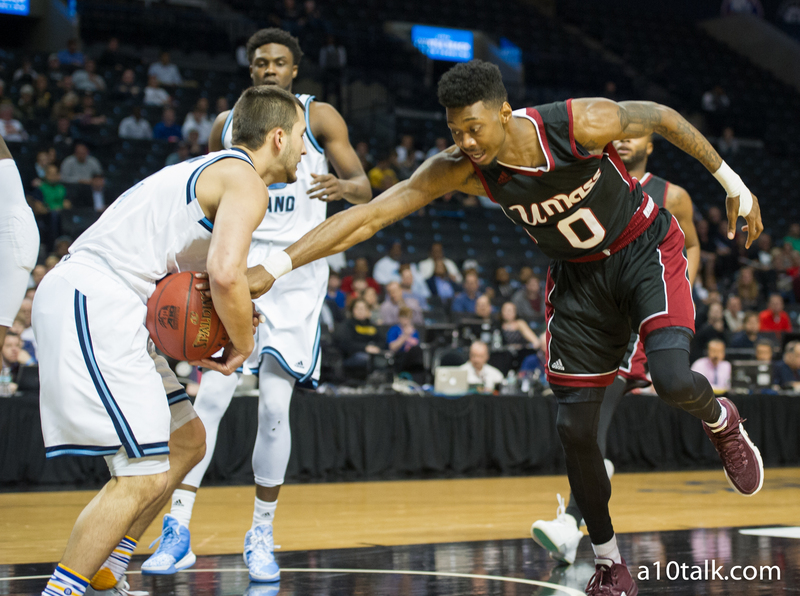 Follow A10Talk on Twitter and Facebook for Atlantic 10 news updates and more.